The “Garrison” plaid: A universal tartan with six awesome colors: Green, burgundy, white, cream, with cobalt pinstripes on a black background. This kilt is a unique Sport Kilt design. Thank you for your prompt help with returning a kilt for the correct size. Virtually no work on my part; e-mailing me the mailing labels was espcially helpful! The exchanged kilt fits great! Thanks again. We continue to recommend you to everyone we know! This is my second kilt purchase at Sport Kilt. We ran the Scotland Run in NYC on 4/3/2010 in our kilts. Many compliments were expressed! I shouted Sport Kilt.com every time! 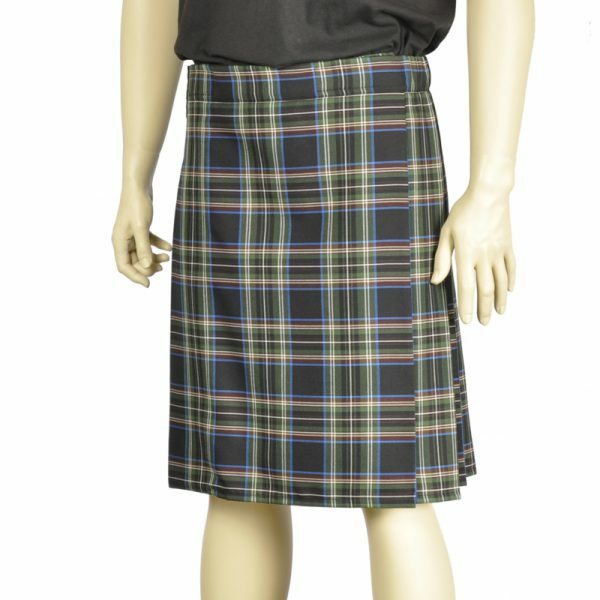 Rock on Sport Kilt! I bought the Garrison sport kilt as a birthday gift for my husband. 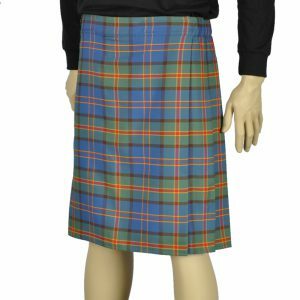 The quality of the kilt was great as was the wonderful customer service I received. Love wearing my Garrison sportkilt around town. It’s comfy and the fabric holds up well and doesn’t take to many wrinkles. I bought mine basic and love it, but should have gotten the belt loops. Made a slight modification by sewing the pleats in on the inside about a 1/16″ away from the inner fold, gives the pleats better definition and makes it easier to sort out after a wash.
Hope they get the McMillan hunting tartan in soon.